Enjoy a cleaner work area with our open-source dust shoe project. 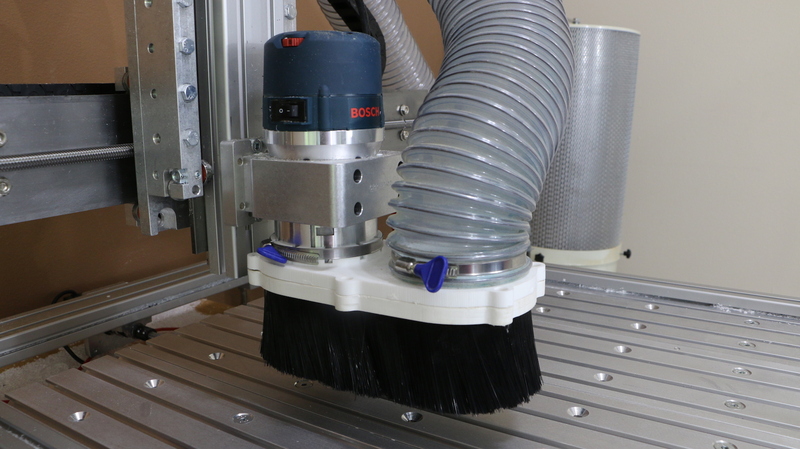 This dust shoe is designed to be a high performing & economical option for CNC routing machines that use routers or CNC spindles, such as our ready-to-assemble Benchtop and large-format CNC machines. 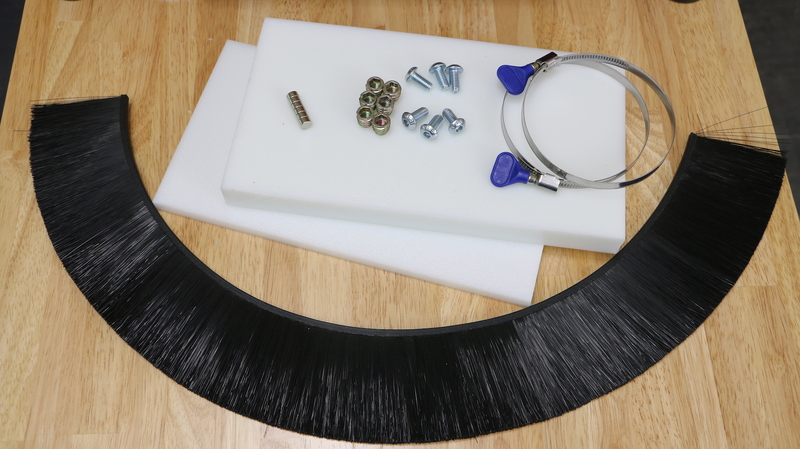 This project can be adjusted for most any router or spindle, and common dust hose sizes. The sources include pre-configured files for specific sizes to support our 2.2kW Spindle and some of the most common routers. If you need to customze the Fusion design for your spindle/router, you can adjust the SpindleDiameter and HoseDiameter parameters (accessible from Modify > Change Parameters in Fusion 360). Customization Tip: Choose a value slightly larger than the actual diameter of your router or spindle to ensure the collar fits without too much force. Similarly, for the dust hose you'll want to undersize it a bit (its already well sized for a 4" hose, and the suggested value for the 2.5" hose is in the parameter comments). Enjoy your cleaner work space! This project is offered under a Creative Commons - Attribution - Non-Commercial license. If you'd like to make and sell these for profit, please contact us.